Be A Loud and Proud Sponsor of Proud Mary’s First Musical! 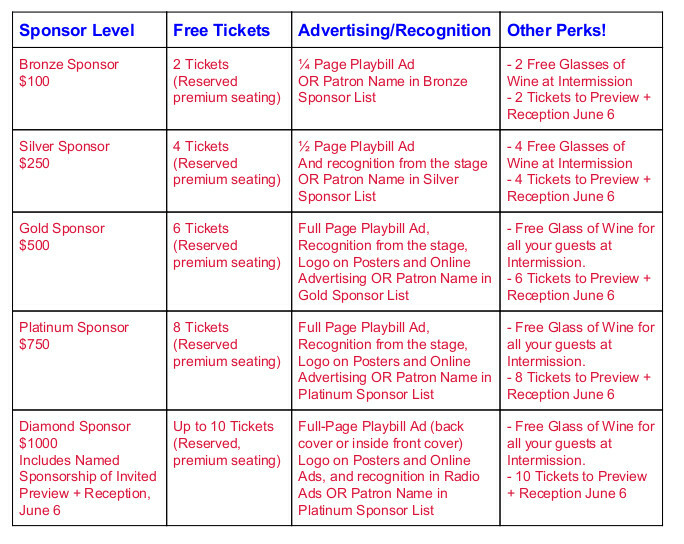 Sponsors enjoy ​fabulous benefits including Free Tickets, Reserved Premium Seating (general seating is not reserved), Free Advertising, and other perks including a special invitation to our Invited Preview + Reception, June 6! Contact Sandy Staggs at (864) 580-8385 or ​sandy@proudmarytheatre.com​!